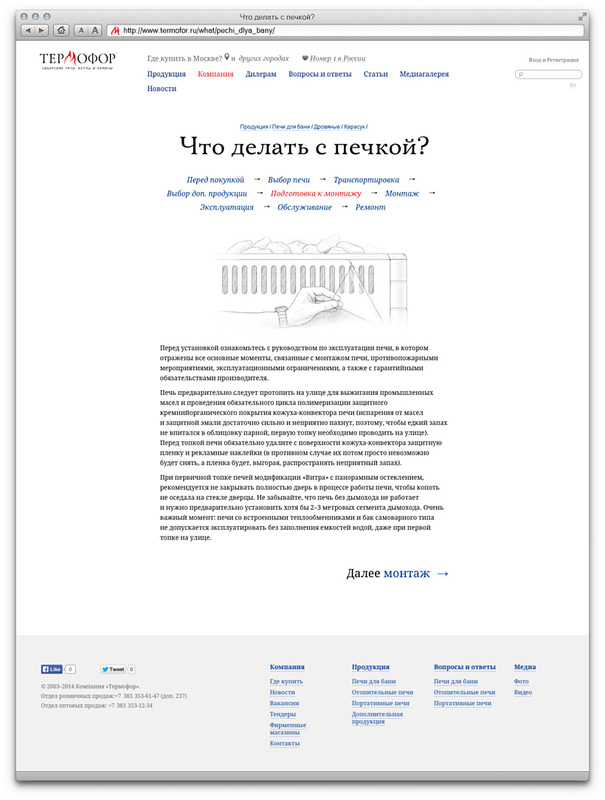 Task: to create a website for a company producing heaters. 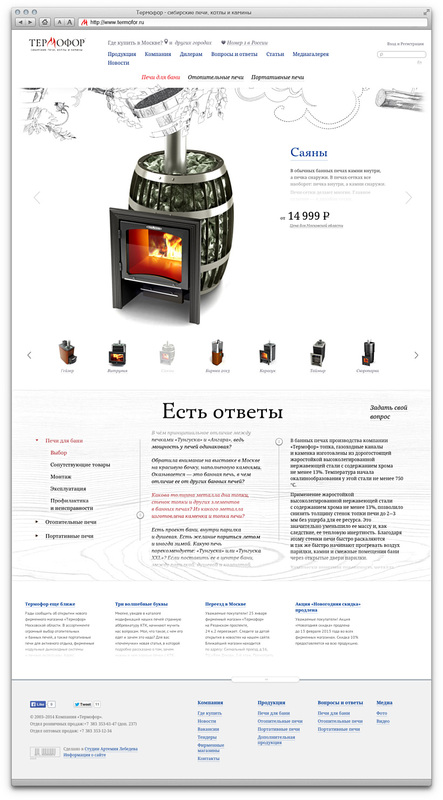 Based in Novosibirsk, Termofor produces modern technologically advanced heating appliances: sauna heaters, heating boilers, fireplace inserts, portable smokehouses, barbecues and various related products. The convenient assistant allows to find a heater matching the desired parameters among more than three hundred available options. Individual heater pages contain fun descriptions, brief feature overviews and simple buyer guides.